#1 “My God, Sage. Your eyes. How have I never noticed them?" That uncomfortable feeling was spreading over me again. "What about them?" 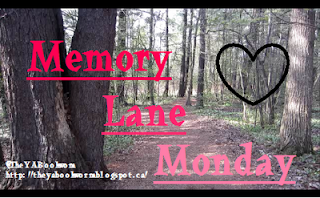 I have come to the sudden realization that tomorrow, my fellow bookworms...I must go back to school *shudders* My denial of this frightful day has only seemed to make it arrive much faster than I expected- so this Memory Lane Monday is in fact acting as my pick-me-up for the day. So for this dreadful occasion I decided to choose a book that can only bring smiles to my currently annoyed face (-_-), and that book is Bloodlines by Richelle Mead. Characters from the previous Vampire Academy series also make some cameos (which was awesome) with Adrian even becoming a main character! The romance in this book might not be the main focus like it was in the original series, but the possibility of a relationship between Adrian and Sydney is fuel enough to keep you turning pages (At least it was for me :P) ! I definitely recommend this book to all Vampire Academy fans- especially the Team Adrian supporters out there! 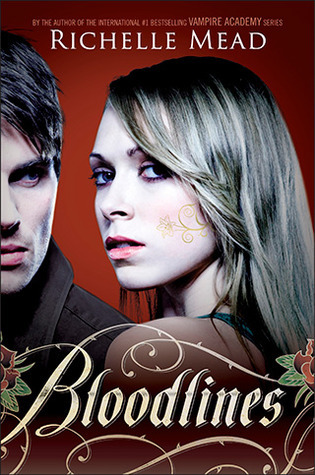 Have you read Bloodlines? Did you love the Vampire Academy series? Be sure to let me know in the comments! Keep Reading! I still need to read this one! I loved Adrian in VA, but didn't care too much for Sydney. I am looking forward to getting to know her better though.